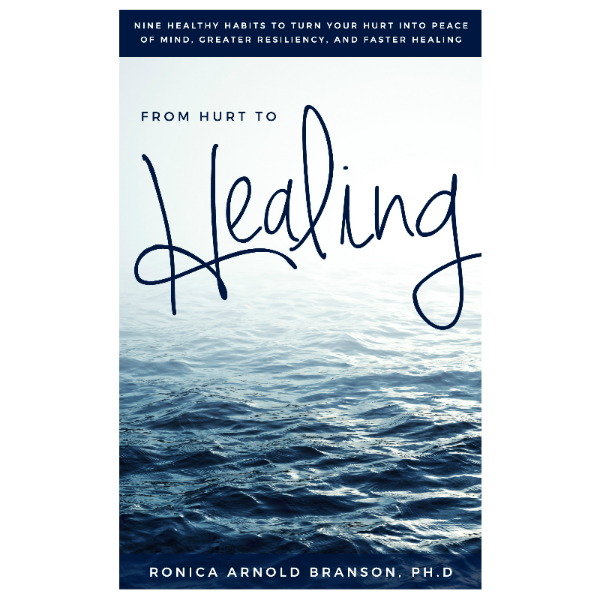 Reflection – Ronica Arnold Branson, Ph.D.
Old habits and behaviors that do not serve us, negative self-talk and unforgiveness can lead us to be impostors and not our true selves. In order to be transparent, we must first, acknowledge there is a problem. Believe me, no one’s life is perfect. Don’t let what you see fool you. Everyone has their own problems that they are dealing with, whether they wear it on their arm when they come to work, or whether they slowly let it tear at them little by little. Neither way is healthy. 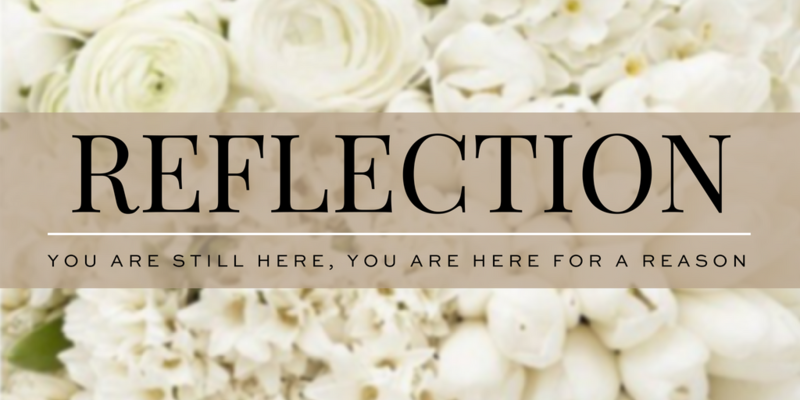 Even though you may be hurting now, even though you may have dealt with some past horrific events, even though, according to the doctors you’re not supposed to be here, the reality is YOU ARE STILL HERE. YOU ARE HERE FOR A REASON, and if you had the Courage to get through those other things, you’ve got the Courage to move through this time in your life. Having just a little bit of courage will take you a very long way. There is a quote in the bible that says, “If you have the faith of a mustard seed, you can say to the mountain be though removed and it shall be cast into the sea. 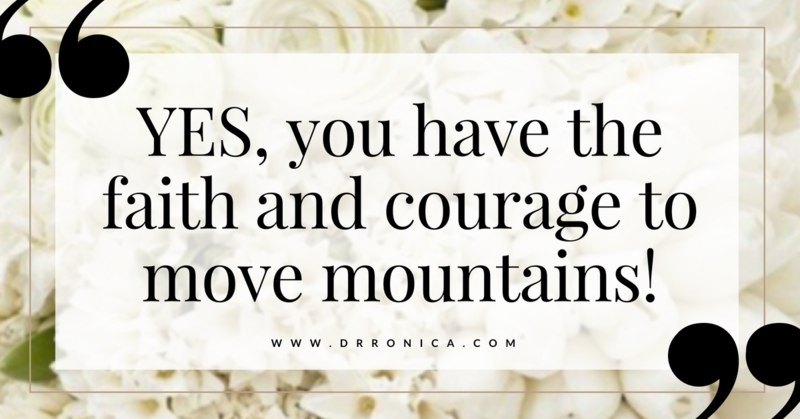 Do you have the faith and courage to move mountains? YES you do! Have you ever seen individuals who are differently abled yet still have a smile on their face? Those who are in wheelchairs, amputees with no arms or legs, those with multiple physical impairments, cancer survivors, those who are beating the odds everyday. They could have given up long ago, but they decided to keep going. They are dealing with the life they were given and instead of complaining they are living. What about you? Are you living a blessed life, with no impairments, yet chose to complain? Today, if only for today, take time to refrain from the complaining and focus on something different. What can you do for someone else to get your mind off your own problems? Let today be a day of giving. Let this day, be YOUR day of giving. Yes, I hear you saying, I give all the time. I just gave to the salvation army bell ringers when I went shopping during the holiday season, or I told her thank you for opening the door for me, or I just dropped off a few shirts that were too small for me at the local goodwill. These things are great and I want you do continue to be involved in charitable work for the rest of your life, but today, if only for one minute, I want you to make a concentrated effort to think of something that you can really give or sacrifice that will make a tremendous impact on the life of someone else. These are just a few examples. I want you to think of our own and make them very personal to you. After writing your list, check off at least two things that you can do before this week is up to make someone’s life a little brighter.